Chicken stock. Bone broth. It’s a simple thing really. Making stock. Bones. A few aromatics. Water. Time. But if you reduce the stock right down to a syrupy consistency it transforms into a flavour grenade ready to transform any chicken dish. Think chicken demi-glace. 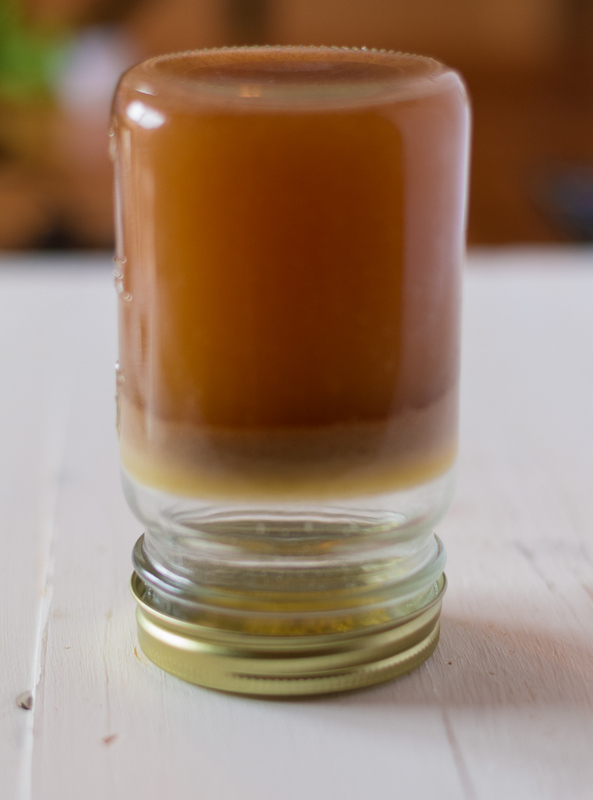 If you only ever make one thing from this blog, make the concentrated chicken stock. The best thing about this recipe is it’s dead easy. It’s even easier than regular stock. Regular chicken stock has carrots and celery you have to chop. Herbs. Peppercorns. Tomatoes even. 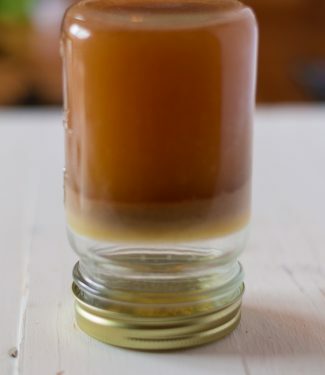 Concentrated chicken stock has 3 ingredients. And one of them is water. You don’t want the flavour from the aromatics and herbs. This is about concentrating flavours. Concentrate celery and carrots in your stock and you get something horrible. More is not better here. All you have to do is save the carcasses from roast chickens, the backbones you cut out or unused necks. Any chicken bones you would throw out you throw into a bag and chuck it into the freezer. Anything really as long as it never saw a grill. When you figure you have a pot full of bones, toss them into a pot along with one unpeeled, halved onion. Fill it up with water. Turn on the heat and wait. Wait until you have simmered that pot of stock down from a full 5 litre pot to around a couple cups. It goes from what you’d call stock to this syrupy, magic elixir. I’m not overstating it. Try it, you’ll see. You want it to be solid like jello when it comes out of the fridge. 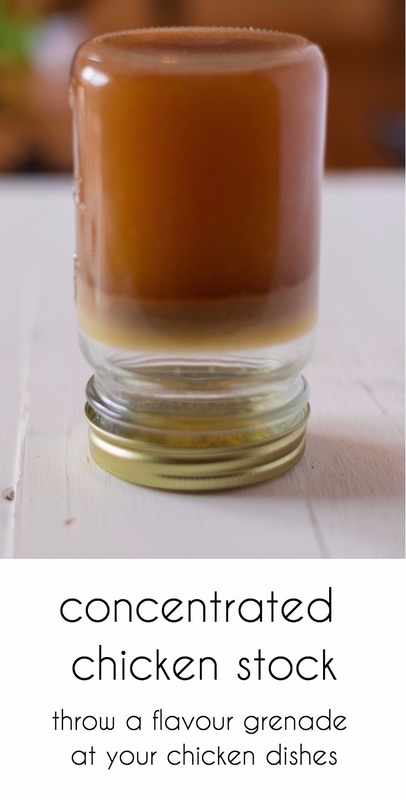 Concentrated chicken stock. It’s a game changer. Seriously. Water to fill the pot. Toss the chicken and onion in a big pot. Add enough water to cover the bones. Simmer over low heat, partially covered until reduced to about two cups. This takes around 6-8 hours. Keep an eye on it. The last thing you want is for it to go dry and burn. Strain through a colander to catch all the bones. Strain again through a fine mesh strainer to catch any small bits. To store, pour 1/2 cup into a medium ziploc freezer bag, squeeze the air out and freeze. Place a cookie sheet into the freezer as flat as you can get it and put the ziploc bags onto the cookie sheet to freeze up. An ice cube tray is another approach. Concentrated chicken stock keeps a month or two in the freezer. When you need some extra wow just break off a piece and melt it into the sauce. In american, french, sides and stuff. Bookmark the permalink. If I used raw chicken bones rather than from a roast chicken would this work? Yes, it would. Will be a little different but fine. Do try it – this stuff is gold!